MAY SLANT BOX EXCHANGE.......I GOT MAIL! Are you tired of only receiving bills in your mailbox? Are you sick of pitching junk mail into your recycling bin? Do you want to connect with teachers all over the country, and even some across the ocean? Does the idea of having a mystery package arrive on your doorstep every month appeal to you? Would having a pen pal who is also a teacher-blogger add a new dimension to your current circle of friends? personalized goodies would just be a bonus! was my SLANT Box "designer" and she absolutely outdid herself on filling it with thoughtful and much-appreciated surprises! and hope you will become her loyal follower too! She authors more than one, and is also a poet! Enjoy the following series of photos that "reveal" the contents of my prize package! Once again, I am humbled by the generous, collaborative, creative, encouraging, and giving spirit of the teacher-authors I have come to know over the past six months. Their kindness and support have lifted my spirits, helped me stay positive, enriched my teaching, and inspired me to just be better. I sent this mystery box on it's way to Washington today! The "good stuff" is hidden underneath the wrapping supplies! is thrilled with all of the colorful and special items I've tucked inside! In addition to be a very well-organized and dedicated teacher with a very colorful classroom, she is also an accomplished chef! Her blog posts often include yummy recipes and tantalizing pictures of exciting edibles! 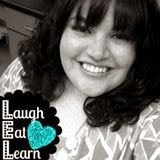 Be sure to follow her blog and find her on Facebook! have gotten a bit carried away with the colors teal and purple, but oh well! C. Jayne Teach is my new favorite place to shop! Continue to be "the brightest crayon in the box," and stop back often! Creative Clips, Lindsay Law, and Teaching in the Tongass. Jennifer, what a fun blog post and a great idea! I am so overwhelmed right now I can't think of doing another activity. Maybe next time! Thanks for sharing because I was wondering what it was all about. You are most welcome, Sebrina! I am going to do the June/July exchange, but then probably take a break in August with the start of school!